"My mother-in-law gave me this quick and easy recipe for the sweetest, tastiest corn cobs!" 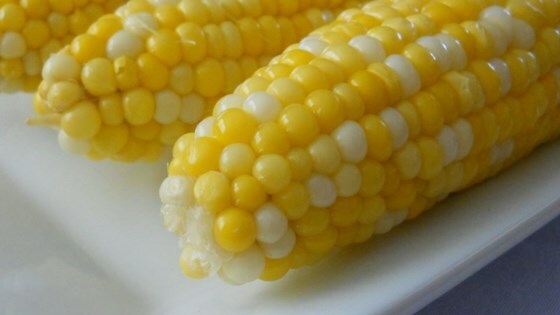 Quick and easy recipe for boiled corn. Absolutely delicious, I did add a little milk to the water which I always do anyway. Thank you Jamie! This helpful hint made it so easy. Perfect corn on the cob! Not mushy, very firm just like I wanted.